Ain't Nothing But a Bee Sting Baby: Undercover Boss. I'm a sucker for... well... it seems to be everything these days. By working in the North End I have become very familiar with coffee shops, boutiques :), and the lovely floral shop on the corner of Fleet and Hanover. Recently on the CBS series "Undercover Boss," the CEO's brother of 1-800-Flowers had to go undercover to all sectors of the business. By being undercover he sees what he and his brother could do better and make sure that their employees, as well as the customers are being accounted for. One of the shops that was picked is one of their biggest branches that does business. This hub of business is actually quite humble and one that I have come to love in the North End. I have bought my most memorable flowers there. I have brought my boyfriend's Dad a Easter bouquet that has yet to be forgotten, a bouquet for a friend that had been in a serious accident that never got to her, but served me the comfort in which I hoped it would for her. As well as occasions past and occasions to come. Every time I have been a customer there I have come encounter with Dee. Dee is the manager of the shop as well as the front woman and dear friend to those in the North End. She has a way of making you feel special. She says this shop is her home and when people come into the store she treats them as her family. 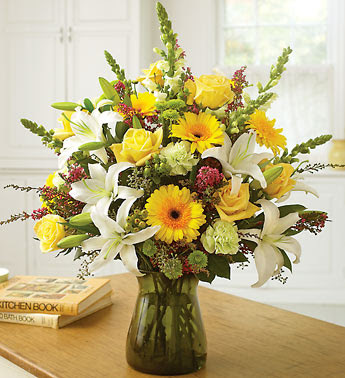 Dee was featured in this episode and the CEO's brother was so touched by her positive presence that he decided to name a bouquet after her. The bouquet is filled with radiant color as well as my favorite flower of the them all, the snap dragon. It touched me something deep and I thought I would share with you another Bostonian who has touched the community by simply being herself. It goes to show that when your heart is in your work it will shine through as well as radiate joy to those around you.